The topic of Israeli drones in service of the Azerbaijani army was an unpleasant surprise for Armenia. Recently it became known that the Department of Defense Export of the Israeli Ministry of returned to Aeronautics a license to supply unmanned aircraft to Azerbaijan, withdrawn in the fall of 2017 due to a criminal investigation. This is a company that supplies unmanned aerial vehicles (UAVs) to Azerbaijan. It is not surprising that Armenia is disappointed with this decision. According to Armenian media, the ban, it turns out, applies only to managers, and not to the company as a whole. The Armenian diaspora and lobby also raised a noise. Armenian National Committee of the United States stated that Israel is giving this decision a signal to attack Armenian positions with the help of kamikaze drones. It seems that the Armenian lobby does not understand that the weapon is purchased in order to use it in battle. Azerbaijan is in a state of war with Armenia, that stations its military units in the occupied Azerbaijani territories. And the only real reason for the Armenians’ discontent in connection with the use of Israeli drones by the Azerbaijani army is their absence in Armenia itself. Armenian Foreign Ministry spokeswoman Anna Naghdalyan said at a briefing in Yerevan that Armenia raises this issue both at bilateral meetings and on multilateral platforms. However, Armenia, stating that the arms race in the region is extremely dangerous, recently launched a deal for the purchase of four Su-30SM multi-role fighters from Russia, which the Armenian armed forces will receive in 2020. The planes are sold on credit and at Russian domestic prices. Colonel in the reserve Shair Ramaldanov noted that Israeli drones were indeed used for the first time in the April battles and showed their reliability in combat conditions. He underlined that Azerbaijan has always purchased and will buy those weapons that it sees fit, and from those it deems necessary. Ramaldanov said in geopolitical terms, Azerbaijan has a huge advantage over Armenia. ‘‘Armenia is an occupying country. Even if it is not officially announced, this reality is accepted by all. Everyone accepted the territorial integrity of Azerbaijan. In addition, we know that Armenia has never been sovereign. Yerevan always performed the commands of its owners," he stressed. 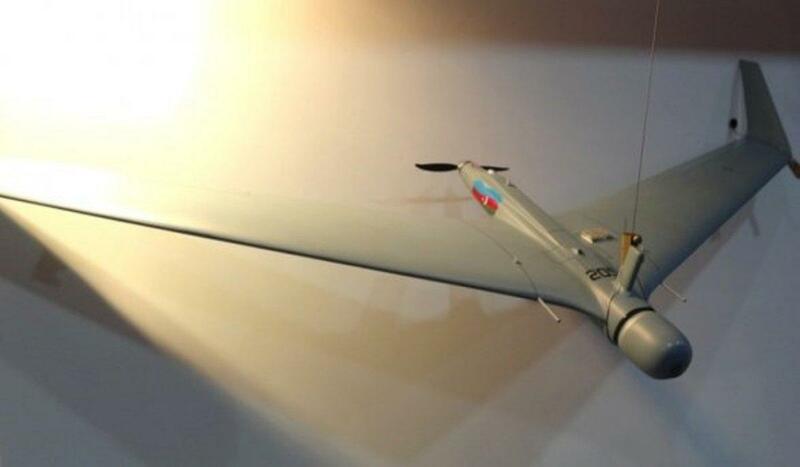 Moreover, he added that Azerbaijan has recently launched the production of a new unmanned aerial vehicle (UAV), ‘‘the Pegasus 120’’, in cooperation with the Israeli company Aeronautics at the Azad Systems enterprise. He concluded that it is possible in the future there will be no need to purchase UAVs abroad - Azerbaijan will meet the needs of the army itself and even become an exporter of drones. According to the Stockholm International Peace Research Institute (SIPRI) and the World Bank for 2016-2017, Azerbaijan today is the largest importer of weapons in the former Soviet Union. Baku purchased weapons for $279 million in 2017, which is by $7 million more than the previous year. In turn, Armenia receives weapons either on credit or as a ‘‘bone for a dog’’ from its owners. That’s why Azerbaijan will always remain a welcome customer for countries producing weapons.